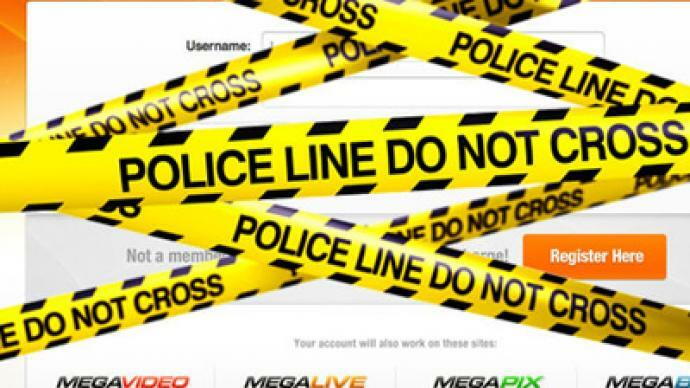 Mass piracy suspects from Megaupload.com have been denied bail by a New Zealand court. The shutdown of the file sharing site provoked the largest operation in years by hacker group Anonymous, which attacked US authorities and entertainment moguls. A US court has indicted Kim Dotcom and three others of offences including copyright infringement, money laundering and racketeering. Three of their alleged accomplices are still at large. Judge David McNaughton sided with US prosecutors and ordered the four people, who had been arrested during simultaneous raids on ten addresses in nine countries on Thursday, remain in custody till Monday. The group, branded “Mega Conspiracy” by the indictment, operated the file sharing service Megaupload.com and several related sites. Prosecutors charge that the websites were used to distribute pirated content on a grand scale. The content included material not yet available through commercial networks, namely the movie Taken, which appeared at the website in October 2008, but was not distributed in the US until January 2009. And this case is far from being the only one. In a separate and better-known case, an unfinished copy of X-Men Origins: Wolverine appeared on the web in March 2009 long before its theater release. 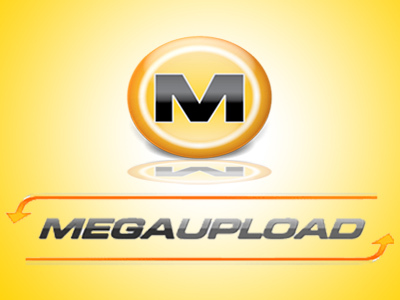 The perpetrator, Gilberto Sanchez, who was subsequently sentenced to a year in jail, used Megaupload.com to pirate the movie. The executives of the ring made money by selling ads and premium accounts, the indictment alleges. The FBI and Department of Justice say they netted $175 million in criminal proceeds while causing an estimated $500 million harm to copyright holders. The property seized as part of the crackdown includes, among other things, a dozen posh cars including Rolls Royce and Lamborghini, expensive home electronics and objects of art. The owner and employees of the service, which claims to be the world's 13th most visited site, said the crackdown was out of all proportion and based on wrong facts. In response to the shut-down of the file sharing website, the hacker group Anonymous launched a massive online attack on websites of the FBI, DoJ and several entertainment giants. The attack, which managed to take down the targets, some for several hours, was reportedly the largest such effort by the group in years, with some 5,600 activists collaborating. 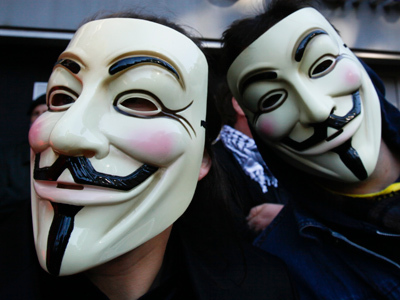 Anonymous maintained the blackout was just part of a larger assault on those they blame for attacking Internet freedoms. The group has not admitted responsibility for attacking US federal government institutions, although it did target those of Iran, Australia and Sweden on various occasions. The assault may call for a tougher-than-usual reaction from the US authorities. The shut-down of Megaupload.com came just a day after tens of thousands of websites blacked out their content or in other ways voiced their opposition to the anti-piracy bills SOPA and PIPA. If made law, opponents say, they would give unprecedented powers to prosecutors and copyright holders. The fear is that these powers would be abused and destroy the Internet as we know it. Internet censorship is not the only fear raised by the Megaupload case. Barrett Brown, who has worked with Anonymous before, told RT the latest hacker attacks are just the start as more groups are set to appear, with serious consequences for the US. “In the very near future… there will be a number of other groups that will pop up using more military methods, and the situation will get worse and the things will escalate until such point as inevitable civil war in the US occurs,” he claimed. Brown also believes that SOPA would give the US government unprecedented power over the contents of the Internet, up to and including free speech. Brown argues that the track record of the US government shows that given an inch, it will take a mile.In other words, giving it power to do one thing is always interpreted as a means of taking power over many other things. “This raid on Megaupload shows that even without SOPA already in place, here they are already arresting the owners of Megaupload and shutting it down. 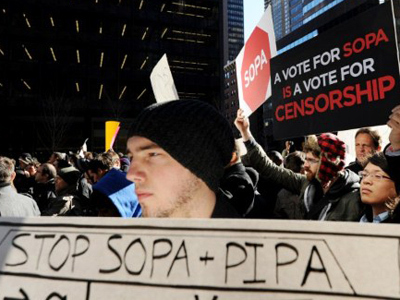 So imagine when SOPA is passed,” he said.